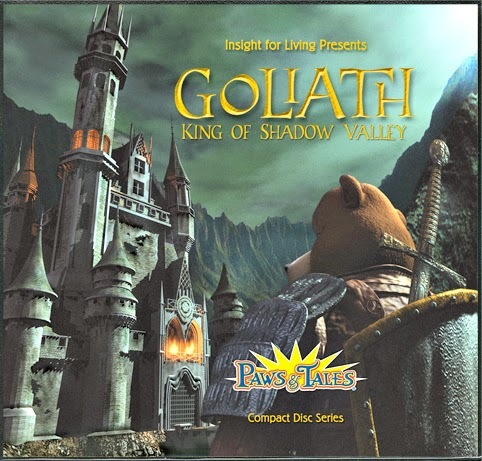 We take a look at Goliath: King of Shadow Valley from the Paws & Tales series today. This is a short story arc consisting of 5 episodes from the show which were repackaged into a stand-alone album. Goliath tells the story of PawPaw Chuck's early days in Wildwood. Also in this edition of the podcast we respond to some feedback from Michael, Richard and Darren. And we take a few moments to mention our 4th birthday! But before all of that, Roy gives another packed newscast. Remember that the P&T episodes are released as a weekly podcast. You can subscribe in iTunes or via their website. Other special series from Paws & Tales are The Story of Esther and The Story of Saul. You can get a digital copy Family Outings from our affiliates. What are your thoughts on Goliath: King of Shadow Valley? Send us your feedback! We’d love to hear what you think!